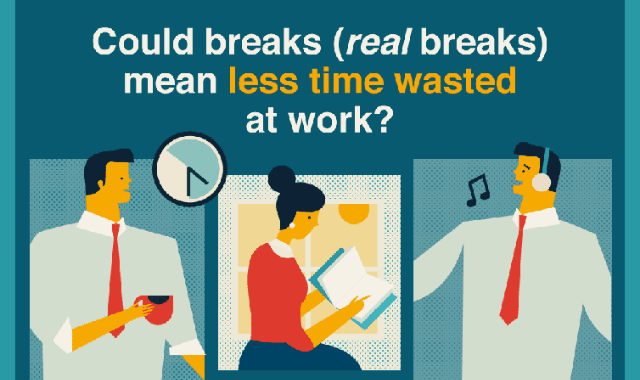 Could Breaks (real breaks) Mean Less Wasted Time At Work? #Infographic ~ Visualistan '+g+"
Not taking work breaks can lead to higher stress, irritability or even long-term health risks. See how you can get more out of work breaks with this guide.